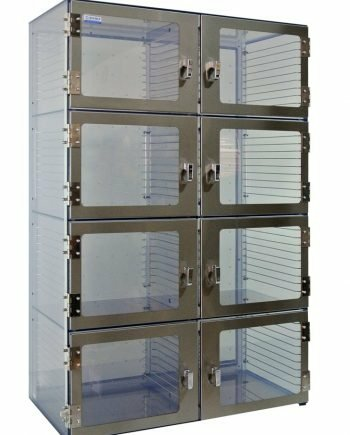 1400 series plastic desiccators are single chamber cabinets designed to store sensitive samples and products in a dust and moisture-free environment. 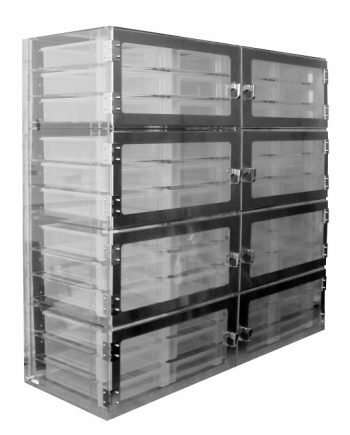 Using a desiccant, such as reusable silica gel beads, 1400 series desiccators offer an inexpensive and economical solution for storing samples in a controlled environment. The material has a slight grey tint and is chemically resistant to most common corrosive agents. Ideal for applications that use common cleaning agents. Gas-in Port with Stopcock Valve Pressure Relief Valve. 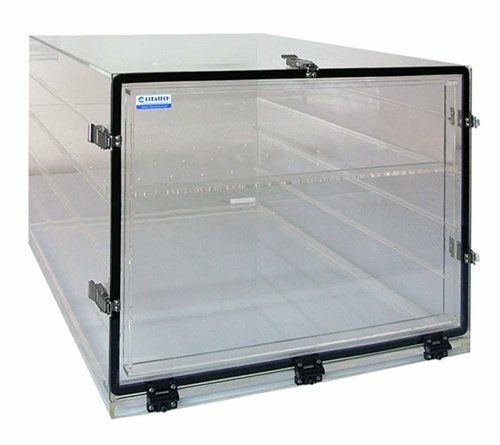 Perforated acrylic or static-dissipative PVC shelves. Re-generable silica gel desiccant. 2’’ x 2’’ x 1’’ cartridge contains 45.5 grams of indicating silica gel that turns pink when the cartridge needs to be regenerated. 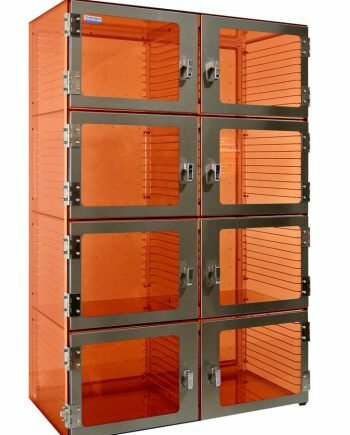 In this video, we will be showcasing Cleatech ‘s 1400 series single chamber desiccator cabinets.